Motherhood is a wonderful and sometimes funny journey. What if it was possible to share the trek with the world? Well, believe it or not, it is. And not only is it possible, it’s profitable. 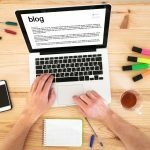 Starting a blog is a fast, simple way to bring in a little extra money. Best of all, it provides a unique creative outlet (and let’s face it, a break from the kids). However, one doesn’t need to devote hours and hours to becoming a blogger know-it-all. 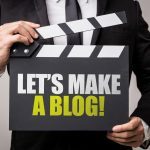 With the right strategies, it’s possible to take the blogosphere by storm! Here are some great tips on how to start a mommy blog in no time. Ultimately, starting a mommy blog isn’t quite that simple. First, head to one of the many free blog creation tools and register the blog. Choose a great name that’s going to really resonate with the audience as the URL. Make sure it’s something that’s going to stick. It’s hard to change once set. Now for a little bit of design. Most sites, like WordPress, feature a pretty extensive amount of customization for free. Play around for a bit and decide what color schemes and templates fit the blog best. Voila, the new blog is almost ready! Now it’s time to get to work on content creation. Now, there is a bit of a downside to how easy it is to create a site. This means that nearly everyone and their mother knows how to create a mommy blog of their own. This is a bit of a blessing and curse in this case. On one hand, it means that there are plenty of other bloggers to draw inspiration from. On the other hand, it means that there’s a lot of competition out there. But don’t give up, just focus on a niche. Each and every blogger has a unique and individual voice. It’s just up to them to find it! Consider what will set this blog apart and then run with it. The more different and niche it is, the better it’ll do. When blogs first took off, things were a bit looser. SEO wasn’t the powerful beast it is now, and blogs were just online diaries. In some instances, this may still be the case. But for those looking to turn a profit on their mommy blog, it’s important to understand a few things that’ll set the blog apart. First and foremost is proper formatting. Each thought and idea should serve as its own paragraph. It can take a while to get used to, so don’t feel bad if it feels unnatural at first. It doesn’t always feel great as a writer, but it makes posts far easier to read. Next, take some time to research keywords. These are words that the audience is going to search for when looking for a blog and it’s a big part of discoverability. Finally, learn how to properly link. This is going to come in handy for sponsored posts. For instance, if writing about circumcisions, link directly to a circumcision clinic like so. It’s easy and establishes a blogger’s credibility. When learning how to start a mommy blog, it may feel impossible. But with a little bit of time, anyone can get the hang of it! Remember to do some research on site design and SEO and cover a niche subject. But above all else, have fun! For more great examples of how-to blogs, be sure to keep it locked to Article City. And don’t forget to sign up for a free account today!